I have been pretty happy with drugstore mascaras and they suit better for my mascara practice - mark the date upon opening the tube and discard it after 3 months. So it had been years since I bought any high-end mascara except for those mini GWPs. 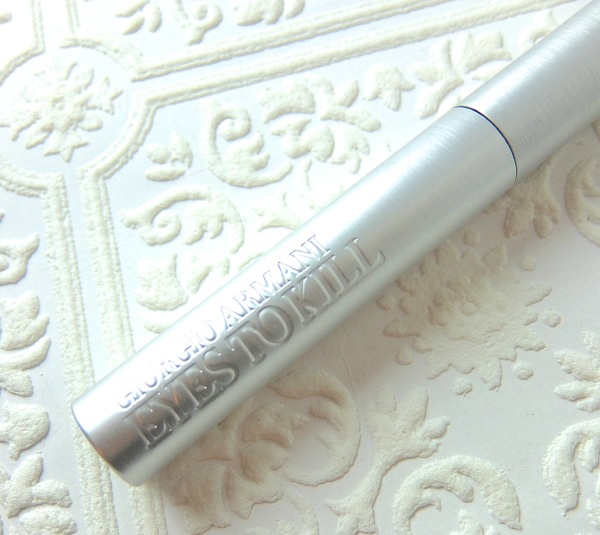 Giorgio Armani Eyes To Kill Waterproof Mascara was one of the three I picked up during the Nordstrom mascara sale (buy 2 get 3), so I didn't pay for the full price (thank God). But for $32 a tube, it should be amazing, right? Wrong. "Just in time for Summer, try a waterproof, sweat-proof mascara. Dress the eye with powerful, plush, voluminous lashes. 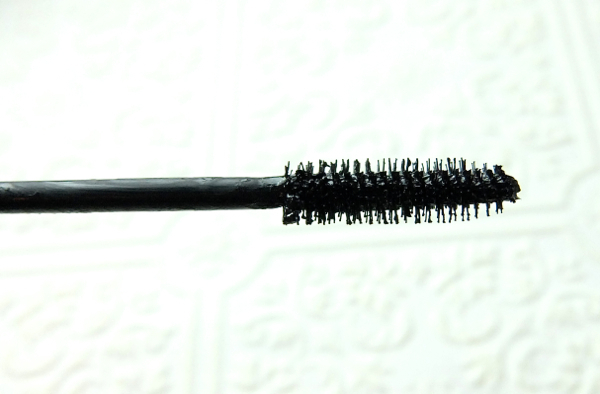 Fine, fluid Microfil technology creates intensely captivating lash texture. Micro-waxes combined with a fineness agent allow for smooth and easy application, revealing weightless volume and length." I don't spot any magic ingredient here. If you do, please let me know. To be fair, Giorgio Armani Eyes To Kill Waterproof Mascara is a decent one. The formula is slightly dry but works nicely with the defining brush. It separates and defines. Not much of volumizing, but you will get naturally defined lashes that look nice. No smudging problem, either. 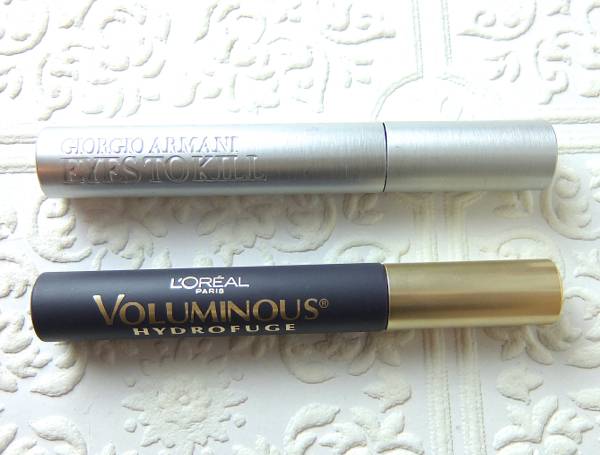 Just like all waterproof mascaras I've tried, the formula thickens a bit and eventually gives better results. It is all very nice when you don't have to think about the price you pay for this mediocracy. However, it is a very different story when you can get something better for far less money. I'm afraid L'Oreal is the parent company of Giorgio Armani Beauty. I wish I could tell you that "I still like the Eyes To Kill Mascara slightly better than the L'Oreal Voluminous", but I can't. The truth is, I like the Voluminous Waterproof Mascara better. It comes in glossier blacker formula and the shorter bristles work better to add volume to my lashes. The price is 1/4 of Eyes To Kill. And you'd be outraged if I say GA ETK contains 2/3 of the product. In the same sized tube, as you see. 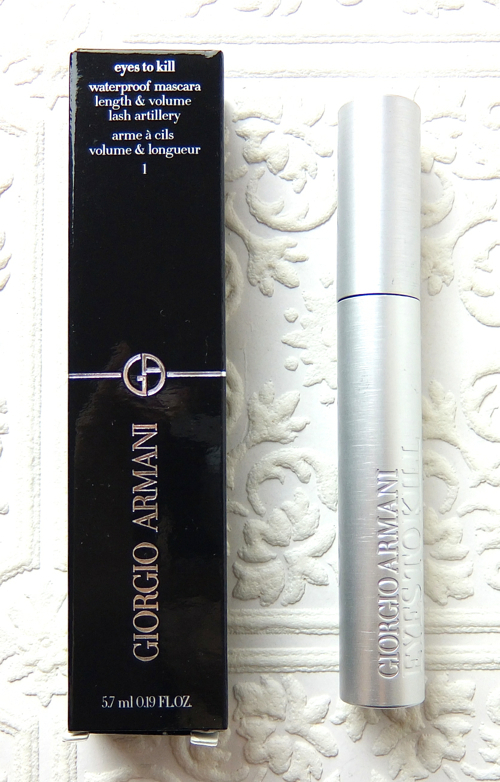 It all boils down to personal preference but Giorgio Armani Eyes To Kill Waterproof Mascara is definitely not for me. I sure hope other two high-end mascaras I picked up would perform better than this. Oh, and I will make sure to recycle the tube since it looks like made of brushed aluminum, one of the natural resources we're running out of, you know. Yeah after the comparison. I rather go with the lesser-priced mascara! Great review though! It was basically too much of expectation in this case. Guaranteed not every high-end mascara is great, right? Well after read your review I´m sure I´m very good with drugstore mascaras and of course my korean brands mascaras ar cheap and very good! Thank your for your review! Lol the $$ must have been for the metal packaging... glad to know to avoid this one! That is exactly what I thought! Some people really like this mascara, though. It wasn't for me, unfortunately (or fortunately ;p). You know, I didn't care for this one either! It doesn't volumize lashes at all. Lancome makes way better mascaras imo! If it didn't do much for your gorgeous lashes, I'd rest my case. The new Grandioso mascara from Lancome looks so good. Intrigued! I know so many people count this as HG, but I've never wanted to spend $32 on mascara! Because, like you, I like to throw it out in a timely manner (though I don't mark my calendar, lol! I should be better about it). I also only wear tubing mascaras, so there's that. Yeah, I feel somewhat relieved that this one did not work out for me. At least I don't feel that I need to spend that much on a mascara. I think I'm being unreasonable since I keep lipgloss tubes much older. LOL. I just set an reminder on my phone and it is easy! uh brilliant idea about marking the date. why did i not think of this. and oh noooesss. i find some mascaras only do well to accentuate what amazing lashes you were already (or in our case, already not) given. so...that's balls for this eh? i might check out that voluminous one. i have a few of the million lashes and they were all kinds of 'meh' as well. Never tried this GA mascara but heard about it. It's actually on my wishlist. L'Oreal makes great mascaras ! My favourite is the Faucils papillon. 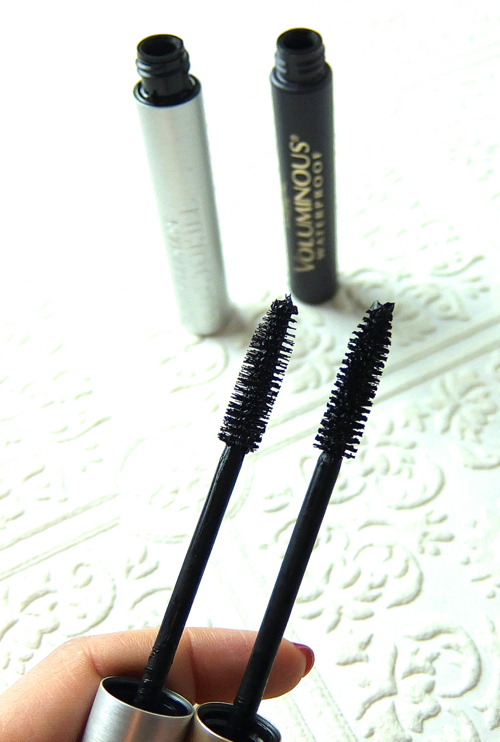 The bristles on the Voluminous are shorter and rounder, which is nicer for my lashes. Thanks for the comparison! I've not tried any high end mascaras but MUFE smoky lash and diorshow was amazing for me. In terms of drugstore mascaras, our drugstore mascaras and the exact same ones that you have in the US sell here for about $15-20US so I would much rather spend the same price for a japanese/korean brand mascara that works much better for me than one from l'oreal/maybelline. I love my mascara with fiber and the japanese make the most waterproof and I find the fiber so buildable without looking weird on the tips of the lashes! Love the side by side comparison. I stopped buying high end mascaras a while ago since they do pretty much the same as drugstore ones or even worse!! Can't see myself spending $30 on a mascara that will expire in 6 months :( Sometimes I use my sephora points to try out a high end mascara once in a while. Luckily you got this on sale. I wish there was a Nordstrom rack in Canada! I had a sample of the non-waterproof version and felt it was just meh. But I have difficult lashes and most mascaras and I are not friends. Having said that, if I ever do find the perfect mascara, I'd buy it even if it costs $40 since I saved a lot of money not buying mascaras in my lifetime, lol.